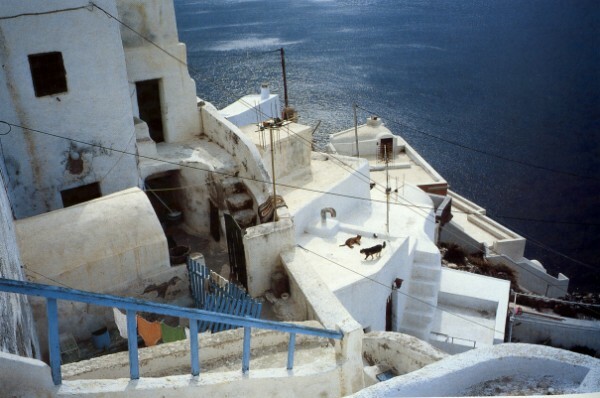 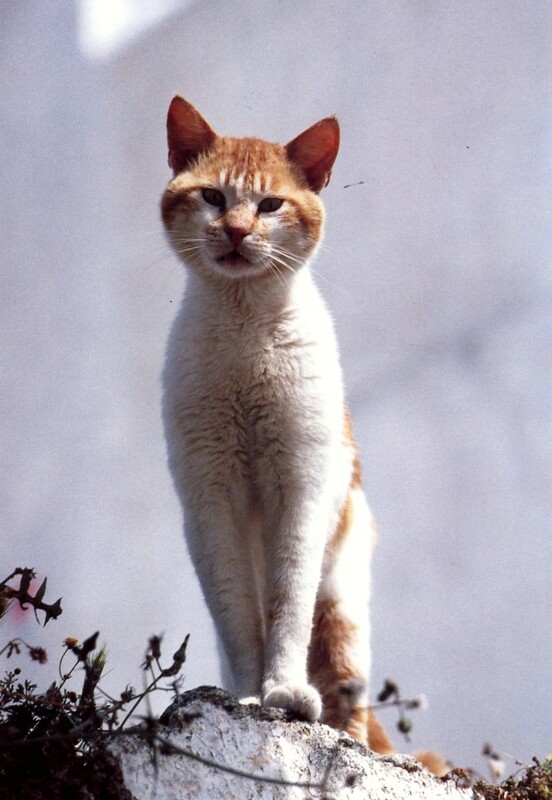 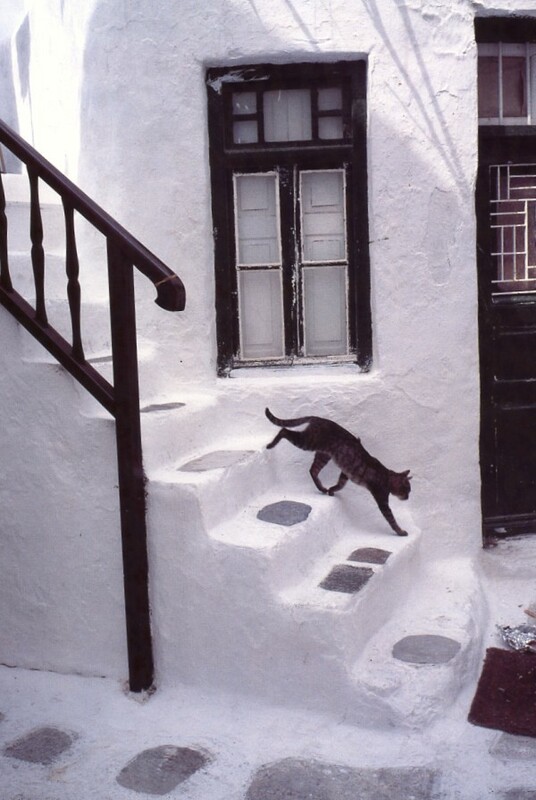 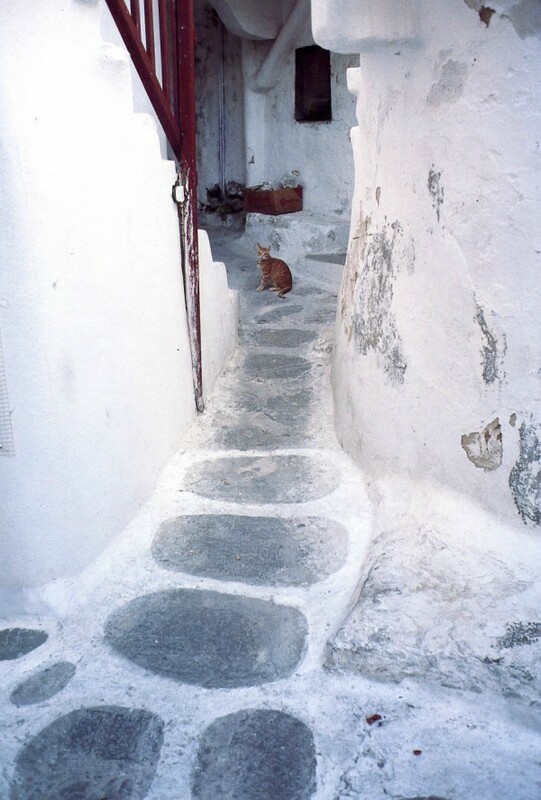 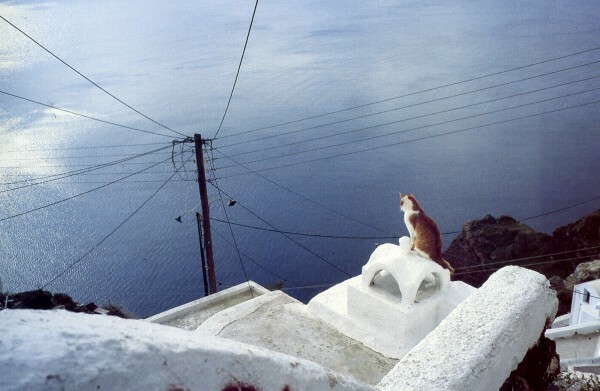 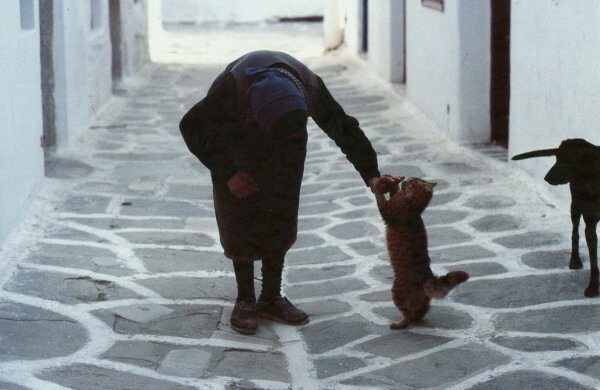 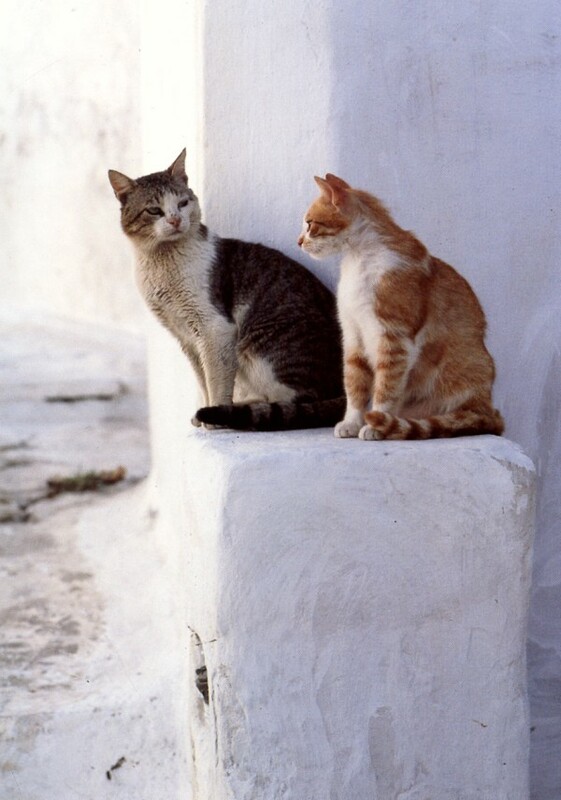 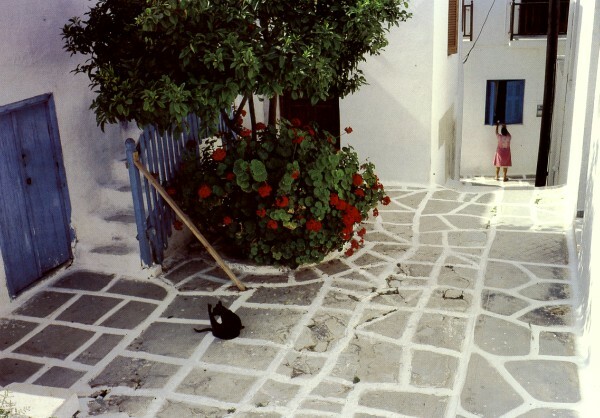 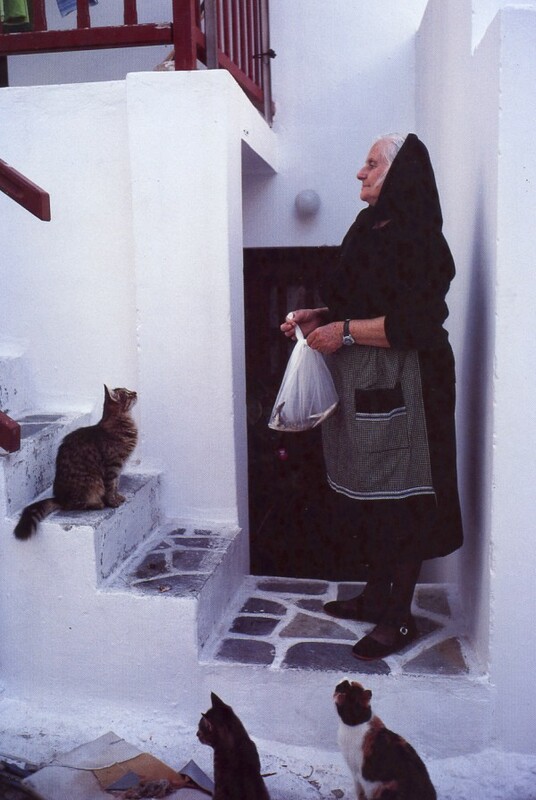 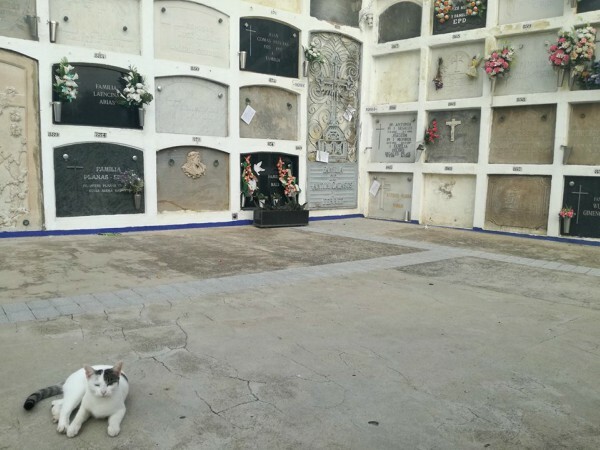 On the Greek island of Naxos cats are not allowed inside the houses - they live on the streets and roofs of sun-dappled villages, and are as much a part of the landscape as the whitewashed buildings and blue sea. 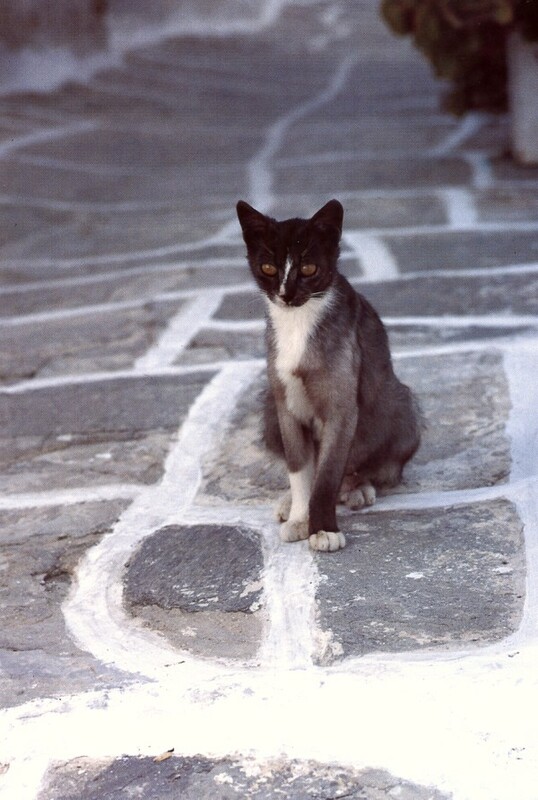 Their relationship to the villages is unique: while they are not entirely domestic, they are not wild. 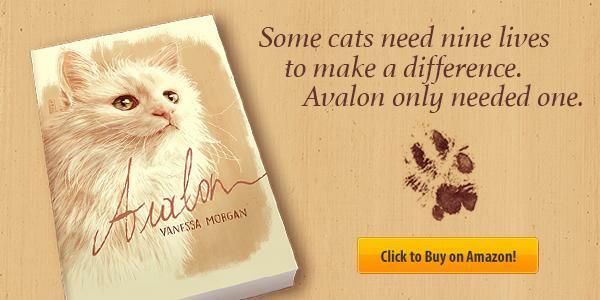 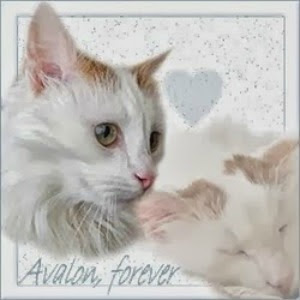 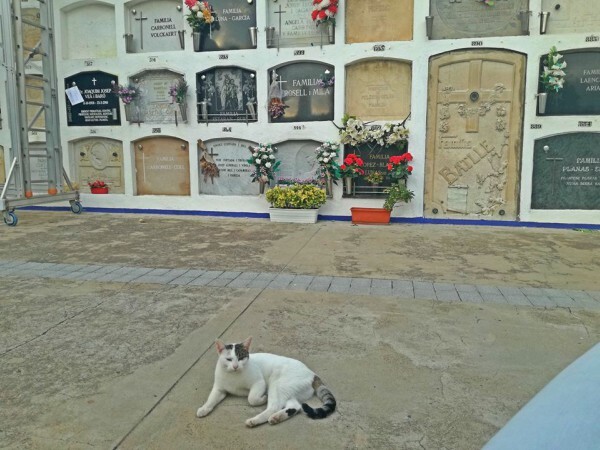 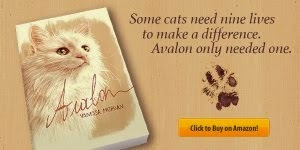 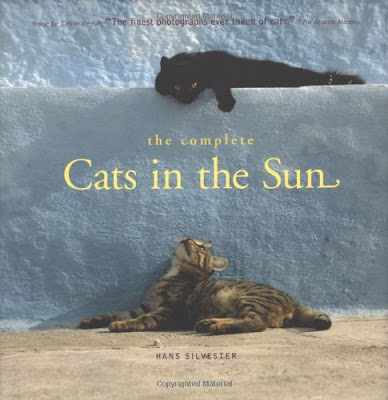 The villagers care for them, but the cats have made their homes in the warm sun outdoors. 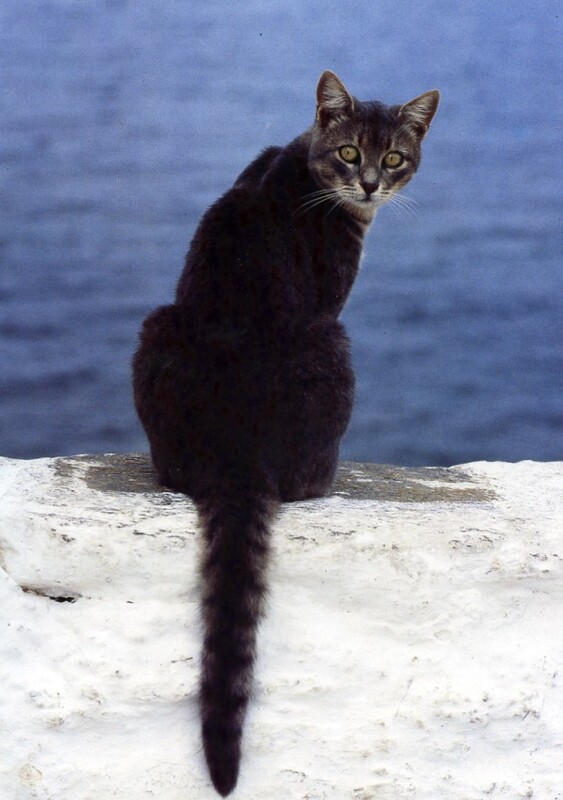 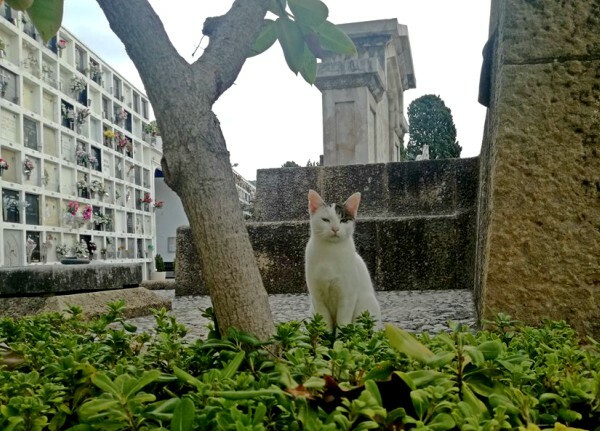 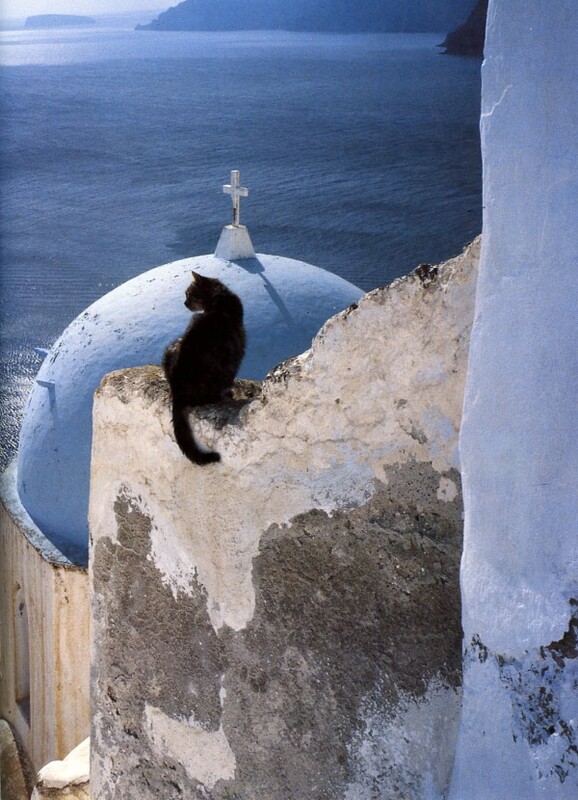 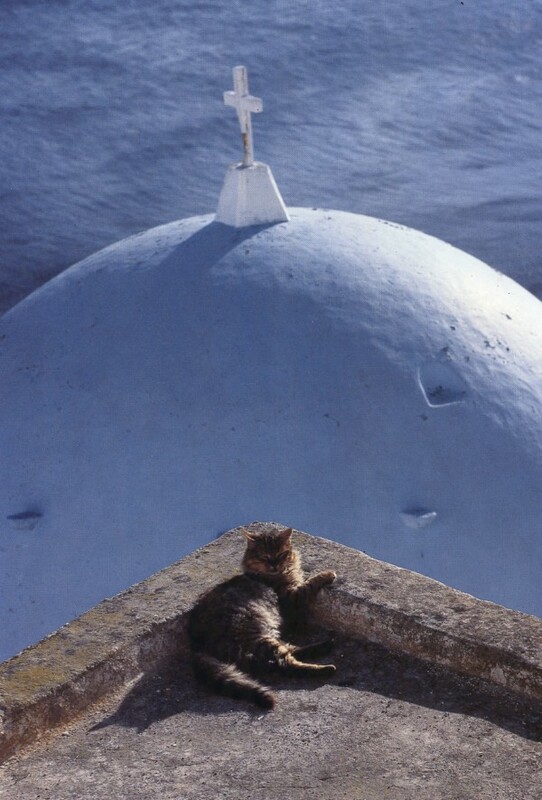 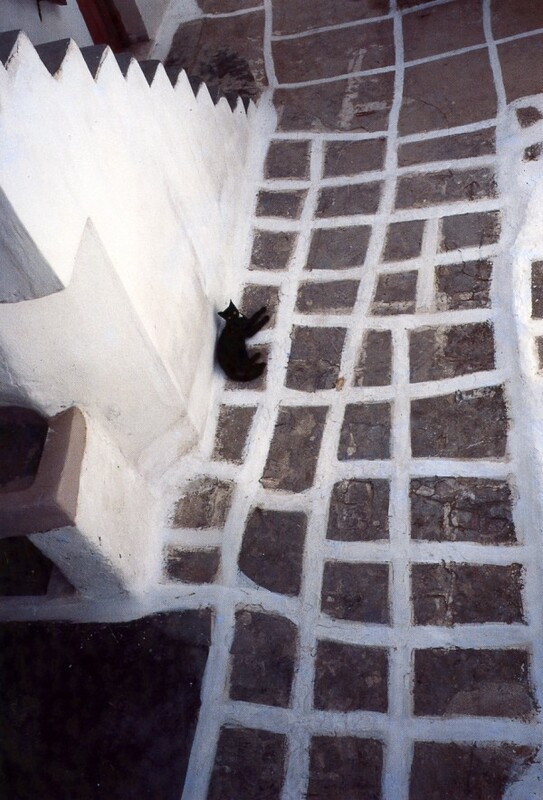 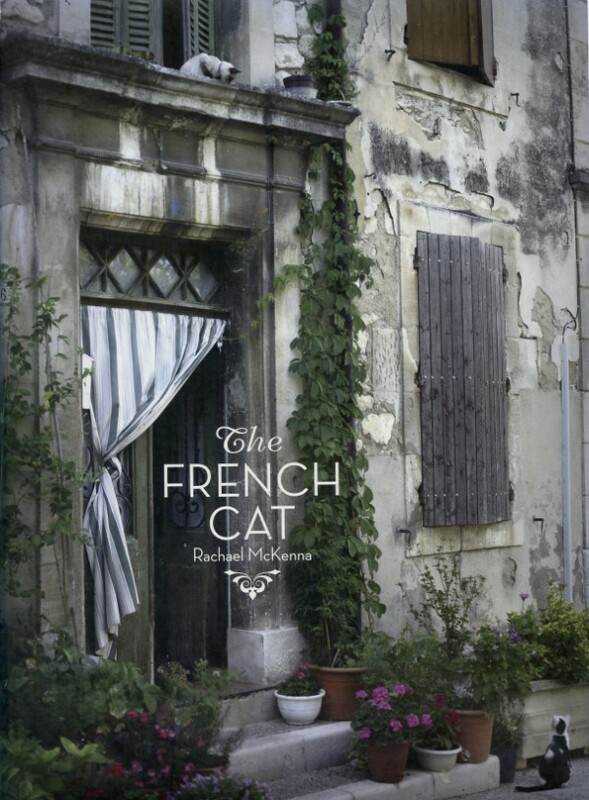 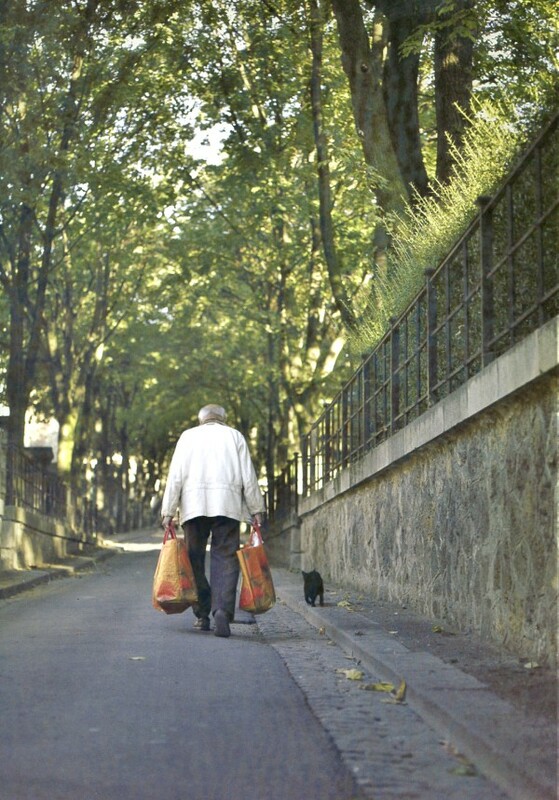 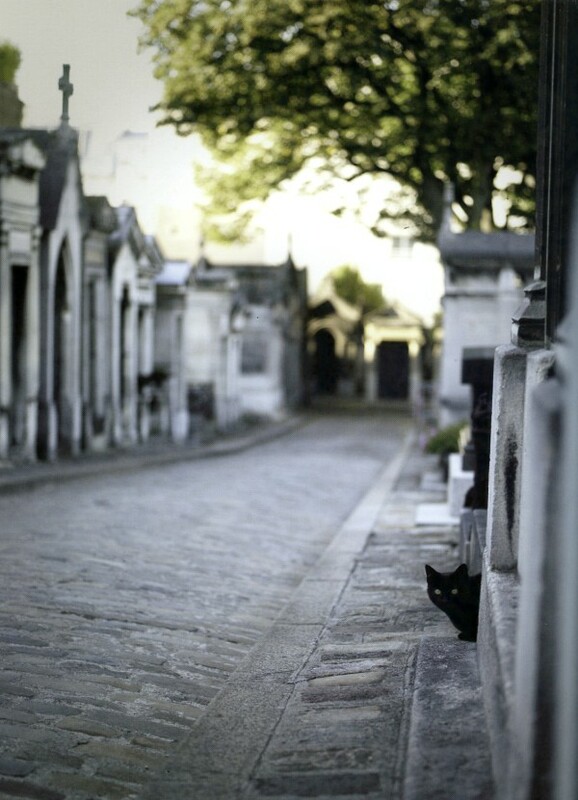 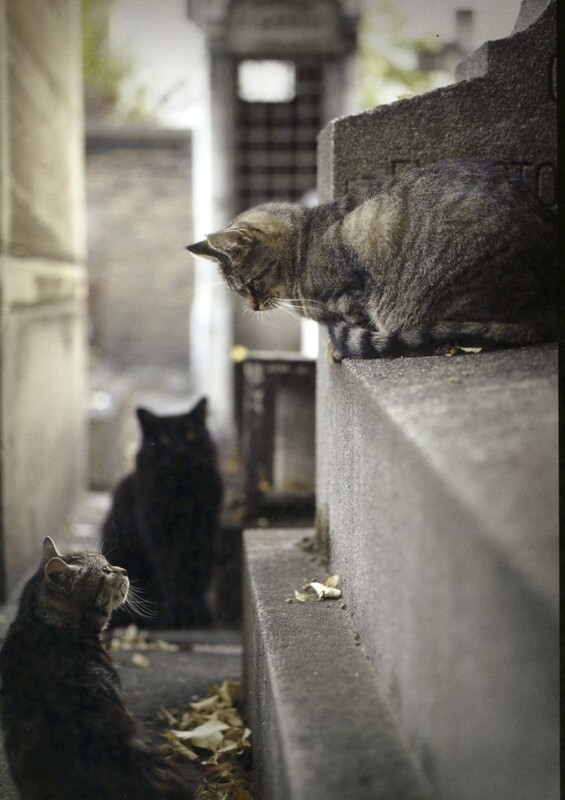 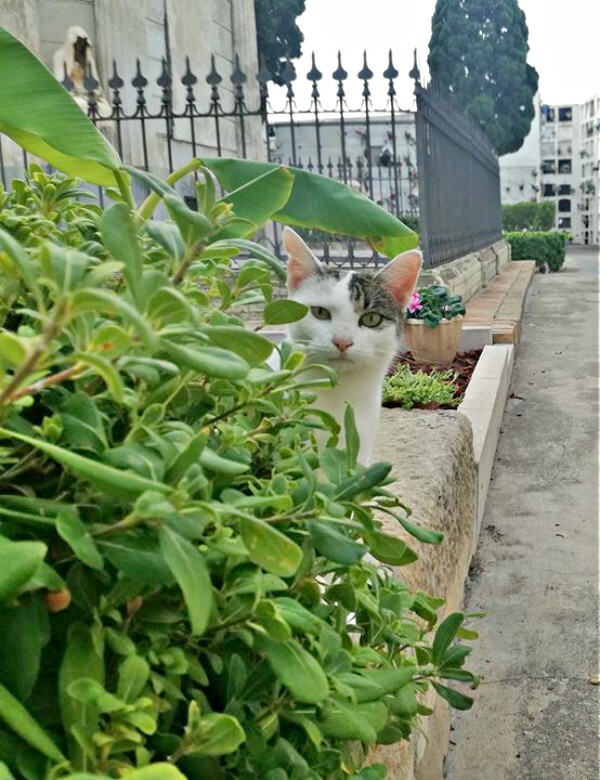 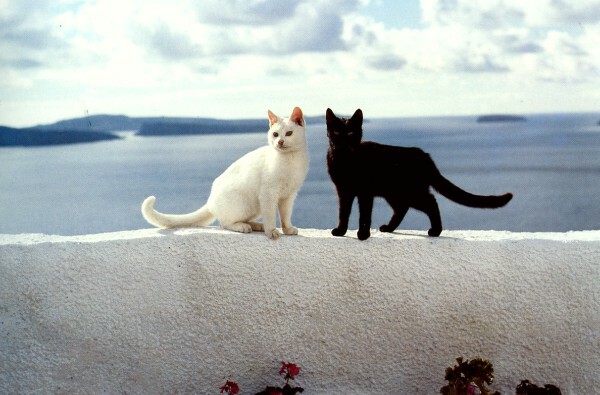 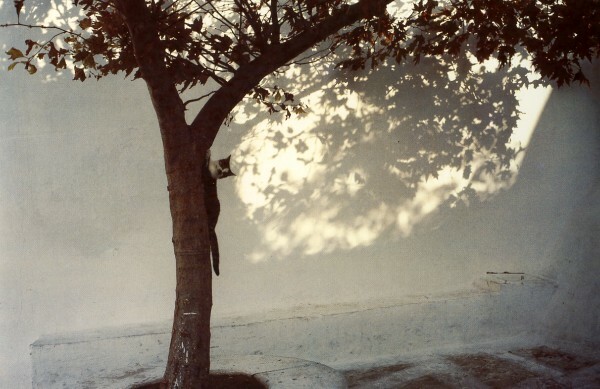 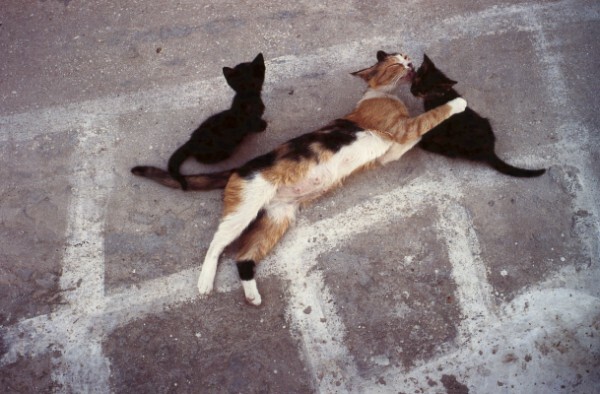 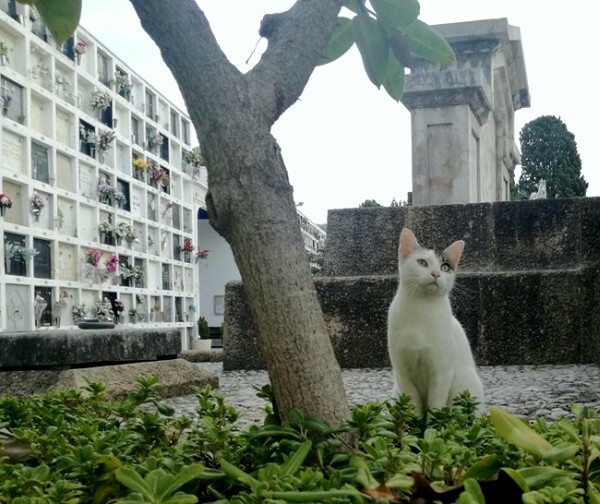 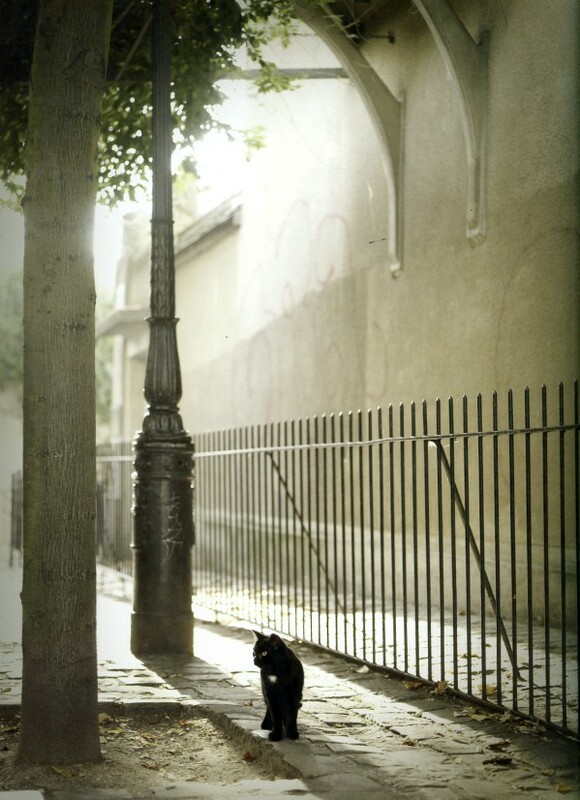 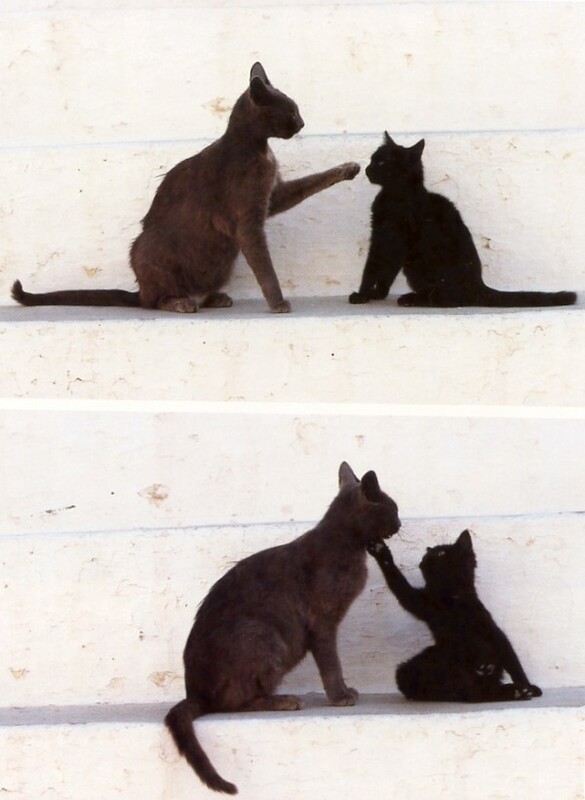 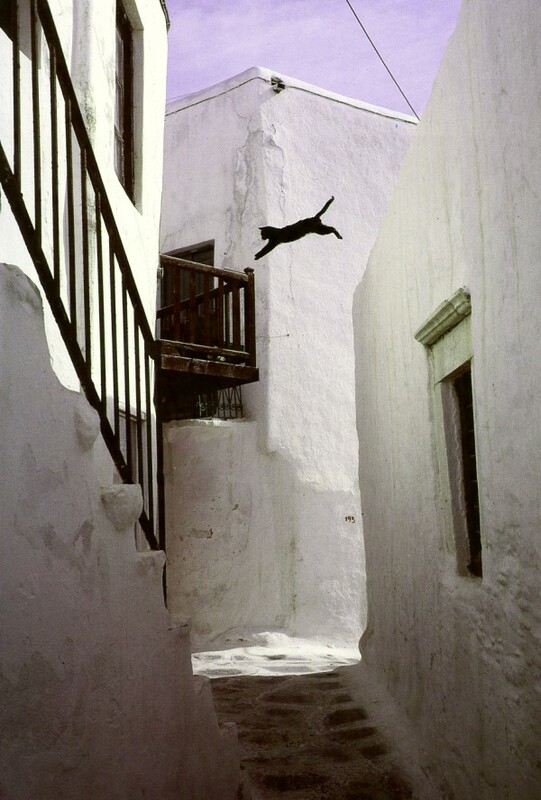 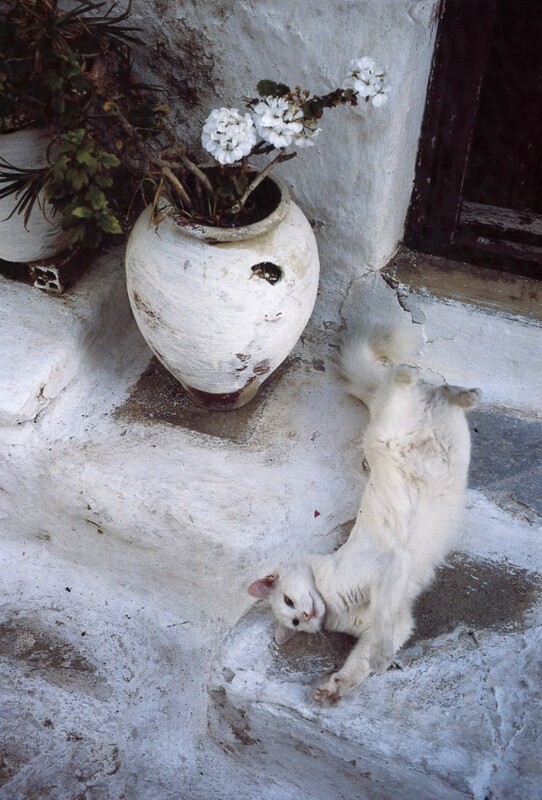 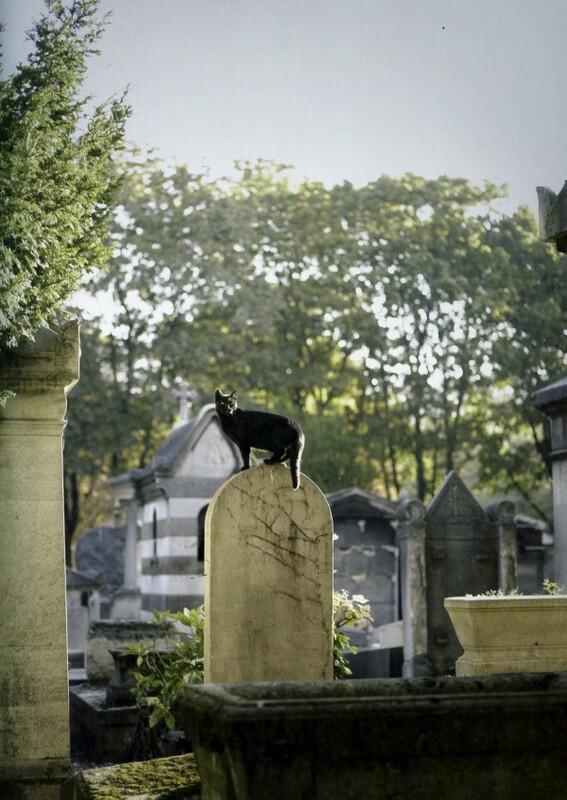 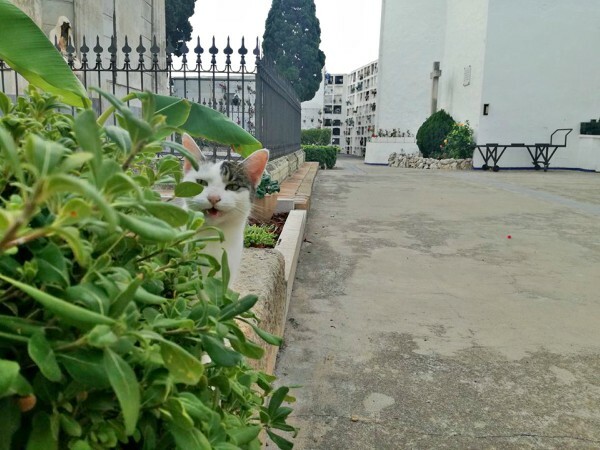 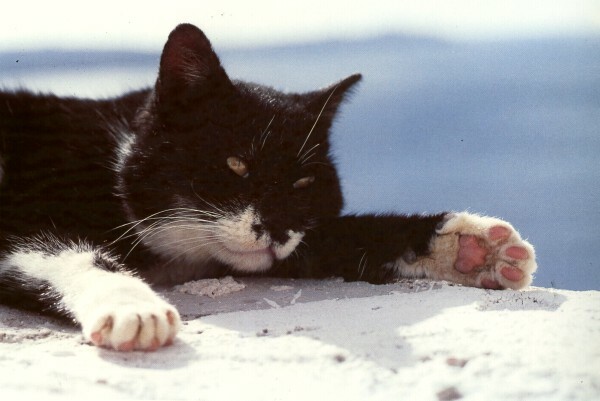 These spectacular photographs by Hans Silvester capture the cats playing, haunting, and prowling along the streets, steps, and rooftops of one of the most beautiful and romantic destinations on earth.